Your best friend is getting married soon and you are neck deep in work, so naturally, you’ve got no time to get the perfect outfit. We haven’t even reached the ‘lehengas are so expensive’ part yet, so we’ll simply cut the chase and get to the point- we’ve found a portal that will stitch customised, designer lehengas, kurtas, dresses and whatnot. That’s right. Read on to know more. 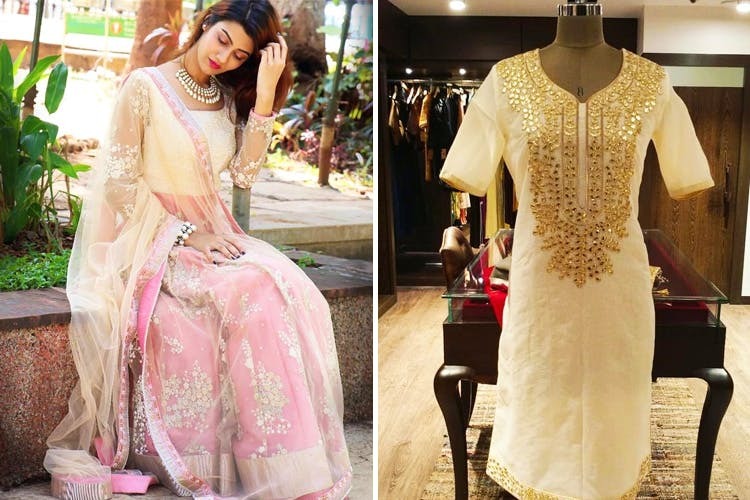 It’s a challenge to find a right fit when it comes to ethnic wear. Long queues for trail rooms, alterations that compromise the shape of your outfit and awkward creases. This is where StitchMyFit.com steps in to bid goodbye to all your woes and get you the outfit of your dreams without even stepping out of your house. You can get your outfits made to measure right at your doorstep! Not only you’ll get away from the hassles of returning clothes online, you’ll escape trying to fit into standard sizing or queuing up in stores. You pick an outfit from the website and customize it the way you want. The store will then send a stylist to your house to measure you, who will give you recommendations and suggestions. The stitched outfit will then be sent back to your house. This will also end your hunt for good, professional tailors. Put an end to the daily hassles of hunting for a perfect store and perfect tailor. You have your own personal service for custom made outfits now.